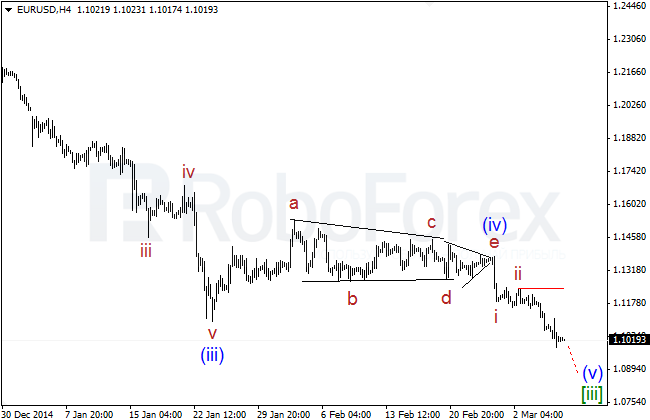 Euro is still forming a large descending impulse inside wave (v) of [iii]. 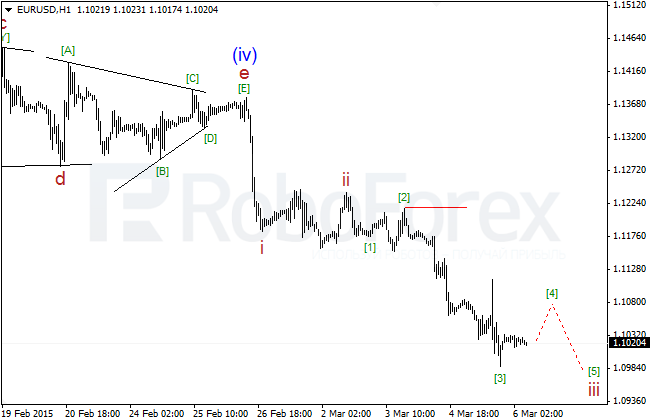 In the nearest future, the market is expected to continue falling and stay below 1.1100. Probably, the price is about to finished (or has already finished) wave  of iii and expected to start a correction inside wave  of iii. 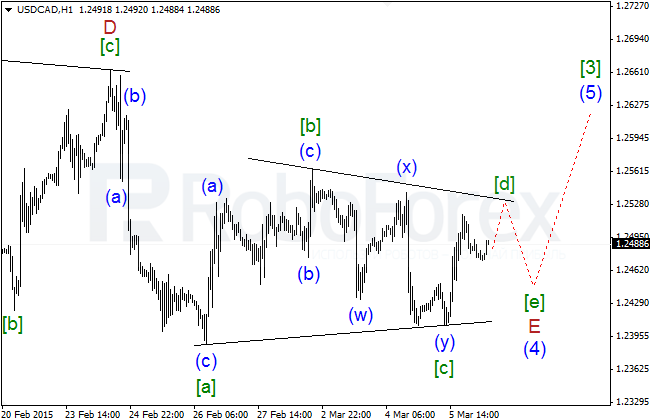 The main trend is still bearish; one can try to sell during local pullbacks. 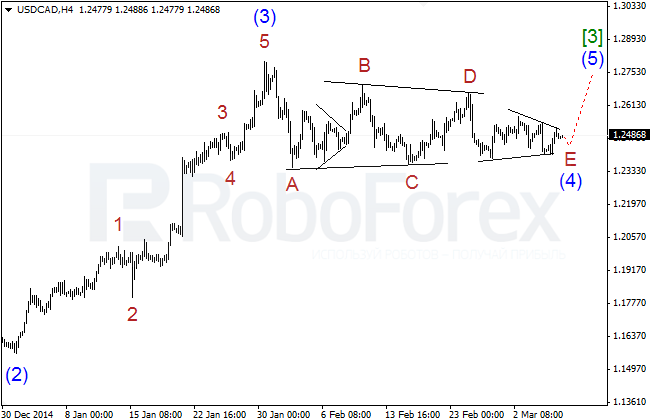 Pound continues forming a large descending wave 5 of (1). Right now, the pair is forming wave [iii] of 5 of (1), which is, probably, extended. The price is expected to continue moving downwards. 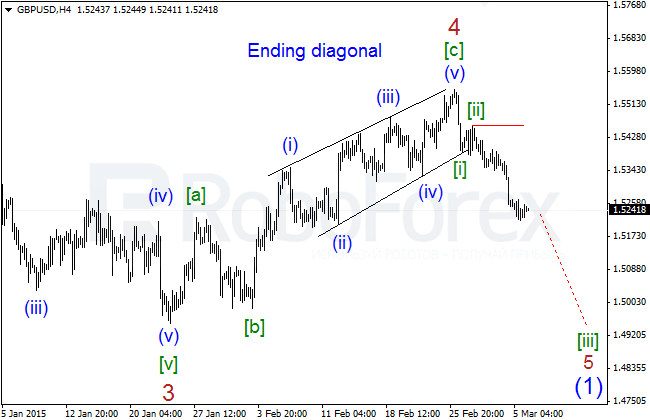 The price is about to finish (or has already finished) wave (iii) of [iii] and later expected in to form a local pullback inside wave (iv) of [iii]. In the nearest future, probably, the pair may continue falling inside [iii] of (5) of (1). The price is still moving above 120.00 inside a large ascending impulse 3 of (5) of . 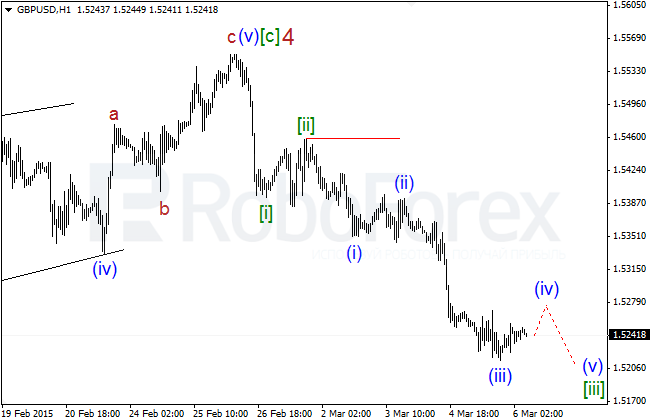 In the near term, the pair is expected to form wave [i] of 3 inside a large extension inside wave 3 of (5) of . 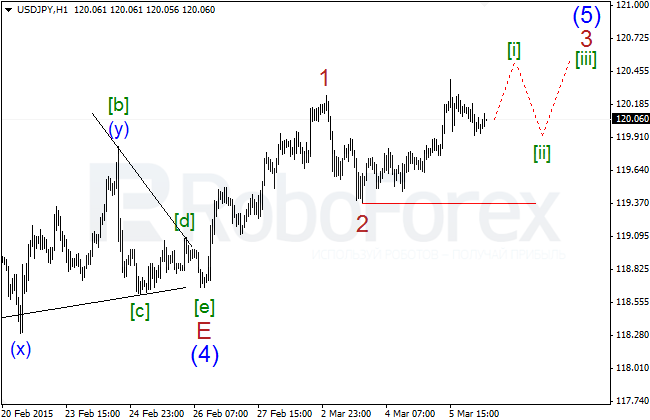 Most likely, Yen is finishing impulse [i] of 3 of (5) inside a large extended wave 3 of (5) of  and later expected to form a local correction inside wave [ii] of 3 of (5). 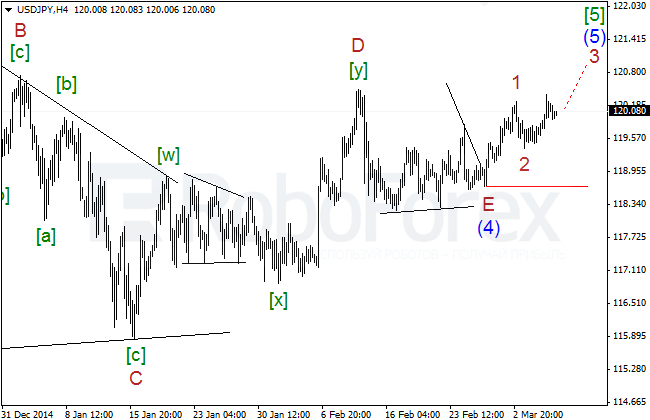 The critical level is at 119.36 – if the market breaks it, the current scenario will be cancelled. The market is still forming horizontal triangle inside wave (4) of , wave E of (4) of which is taking the form of horizontal triangle as well. In the nearest future, the price is expected to start growing inside wave (5) of . The pair is expected to complete an ascending zigzag[d] of E and a local descending one [e] of E. In the nearest future, the market may finish the whole correctional structure inside wave (4) of  and start growing towards 1.2850 – 1.2900.